In a rare trip across the pond, Nottingham's Tindersticks have announced a short string of North American tour dates, two of which find them touching down on Canadian soil. On March 9, the British noir-soul outfit have announced they will play Montreal and hit up Toronto for a show the following day on March 10. Both concerts, as well as few in the U.S., will mark the first live taste North American audiences will be able to get of the Tindersticks' latest LP, The Hungry Saw. 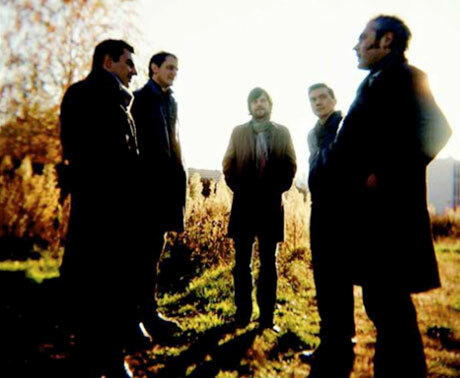 And according to the group's MySpace blog, audiences can expect to hear some old favourites and rarities from the band's vast back catalogue as well, with Tindersticks touring as a seven-piece fully equipped with a new rhythm section of bass, drums, brass and cello. The band's MySpace also says to be on the lookout for some new souvenirs at the merch table, which should be selling a limited edition, tour-only Tindersticks live album. In other Tindersticks news, the band have been keeping busy in the soundtrack department and recently finished writing the music for French director Claire Denis's latest film, 35 Rhums. The band say they have also almost completed the soundtrack to yet another Denis film, the forthcoming White Material, and have been creating a piece for designer Louis Vuitton. There's no word yet, however, if any of these projects will receive a proper album release. Here are all Tindersticks' upcoming North American dates, as well as the tracklisting for the tour-only live album. 3. "The Flicker of a Little Girl"
4. "Come Feel the Sun"
6. "The Other Side of the World"
9. "Say Goodbye to the City"
13. "Boobar Come Back to Me"
15. "The Turns We Took"
16. "If You're Looking for a Way Out"